Tim's self-taught career commenced with the manufacture and repair of guitars at quite an early age. Soon after, he was fortunate enough to work with renowned Australian luthiers James and Merv Cargill. His work restoring, building and repairing classical stringed instruments in Ben Puglisi's Melbourne workshop still continues to this day. For over 18 years now, Tim has procured a vast array of skills in his craft. 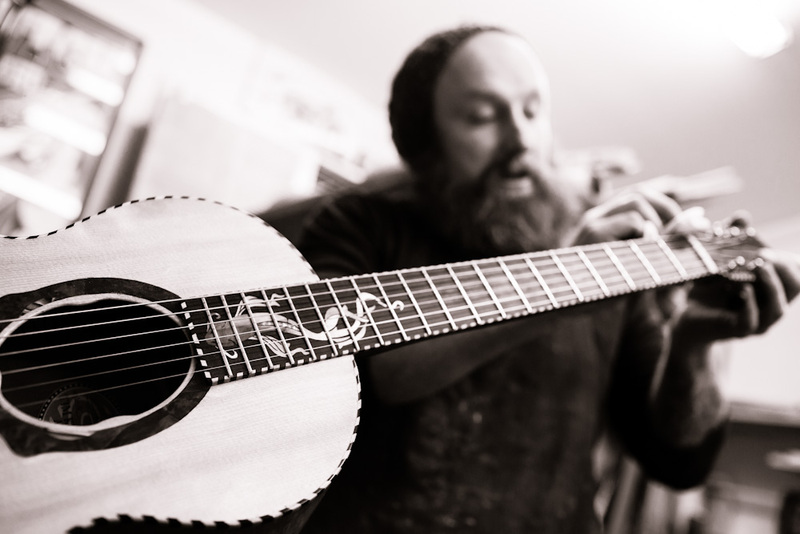 His dedication and experience has enabled him to produce an exceptional standard of handcrafted instruments for players such as Jeff Lang, Colin Hay, Harry Manxs, INXS and Xavier Rudd just to name a few. Tim Kill specialises in one off custom designs. He works closely with customers to conceive and create a unique instrument ideally suited to their physical, aesthetic and musical needs. Using both traditional and modern inspired techniques that reflect his own personal experience, Tim creates a lyrical and responsive instrument that embodies the highest level of artistry and craftsmanship. Please feel free to contact Tim for any further information.